Enhance the beauty of your home and landscape with custom Landscape Lighting from the experienced professionals at Natural Concepts. Our unique design will provide beautiful effects. We will transform your landscape into a work of art, creating an inviting home, gorgeous backyard and incredible views from inside your home. 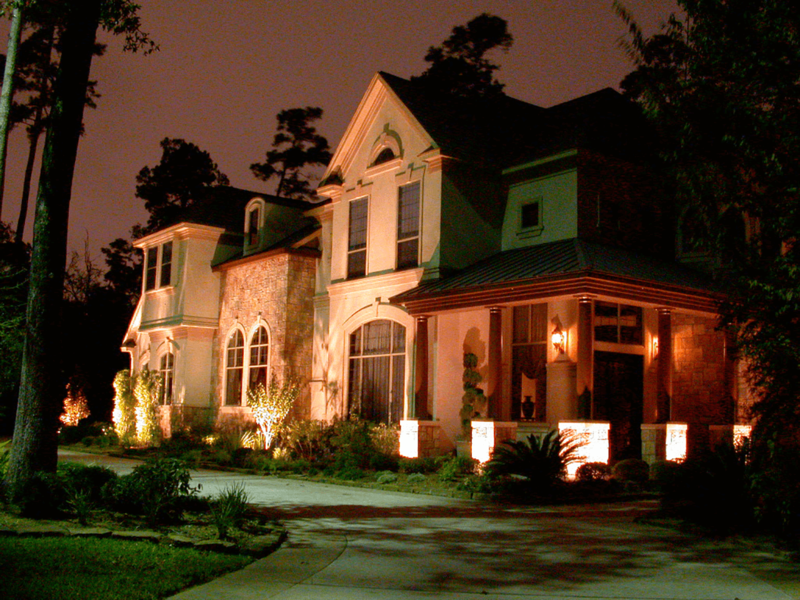 A Natural Concepts lighting designer will visit your property and custom design a landscape lighting system to fit your property, lifestyle and budget. We offer creative design, the finest quality equipment and prompt customer service. Beautiful lighting doesn’t need to be outrageously expensive! Let us provide a design consultation for you at no cost or obligation. LED is a very long-life and energy efficient way to illuminate. Most LED’s are rated for about 40,000 hrs, which is 10 times longer than similar types of lamps. And you can save money by using LED’s because they use up to 85% LESS electricity! Many people think that LED is a color…it is not, and actually comes in many colors. LED ranges in color from warm (similar to incandescent) to cool (similar to a full moon’s illumination). It is very versatile, and can illuminate your home’s facade, uplight plant material, highlight features, flower beds or even rock formations. 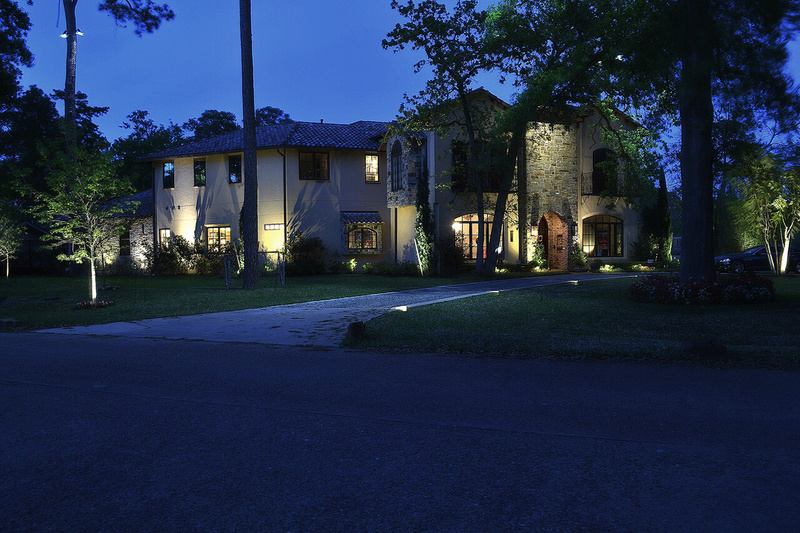 For years we have been known as the designers of moonlighting throughout Southeast Texas. This involves the placement of specialty lighting high into the canopies of trees, creating soft, beautiful night-time shadow patterns, illuminating the lawn, landscape, and often the facade of the house. Moonlighting provides excellent safety and security, while remaining aesthetically pleasing. The most dramatic effect is when we contrast the cool color of moonlighting with the warm color of the uplighting or pathlights. 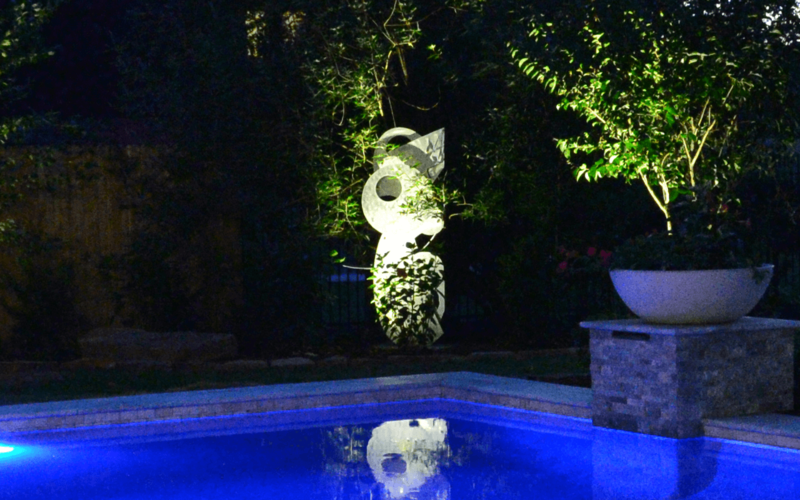 Planned aesthetic uplighting allows satisfying enjoyment of a home and landscape, well into the evening hours. Our designs accent selected trees, shrubs, and flower beds through artistic applications, using an assortment of lighting fixtures and with strategic placement. 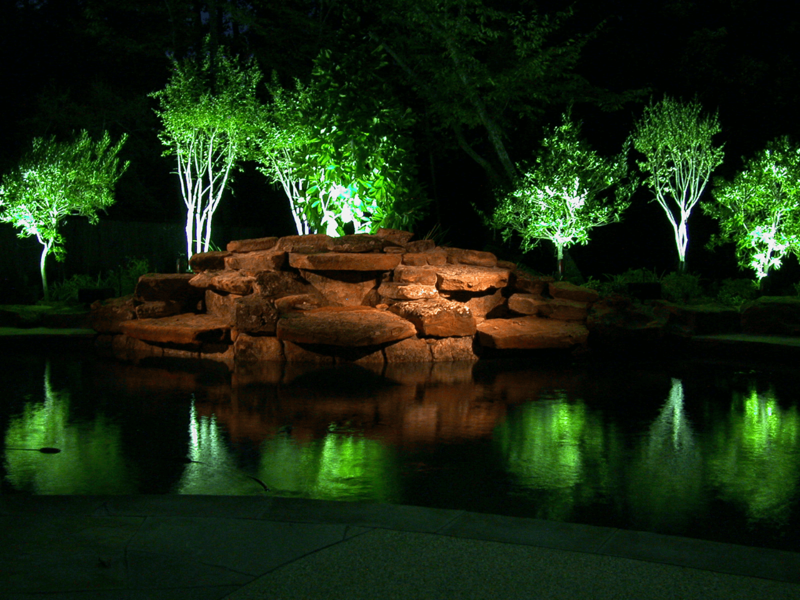 Each Natural Concepts lighting design uses many of the same elements found in a professional landscape design: balance, texture, placement, color, and intensity. The result can be dramatic and breathtaking. These types of lights illuminate the ground beneath, highlighting seasonal color plantings or interesting rock borders in landscape beds. They are also a great way to illuminate a walkway or path. 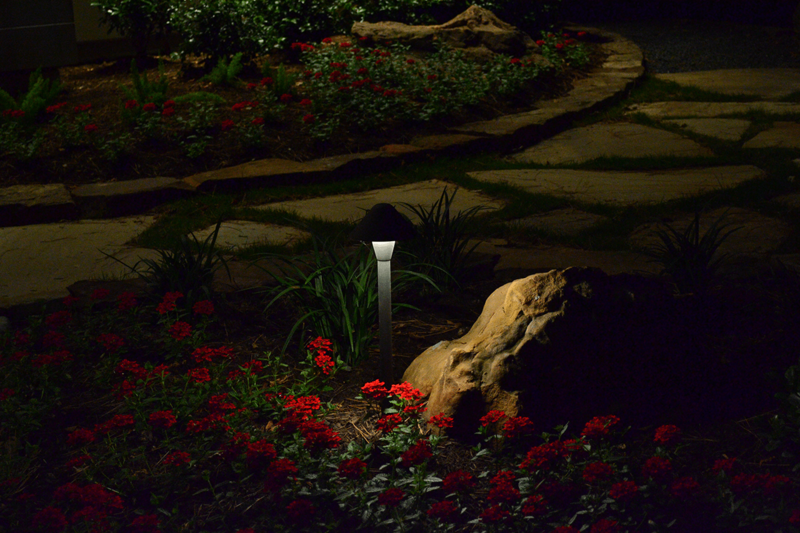 The addition of pathlights to illuminate the beauty on the ground helps to give a finished look. Pathlights can be both for both safety and aesthetic lighting. This is the best way to create a warm and inviting appearance to your home. Many times we illuminate plant material with the intent of also illuminating the facade, creating beautiful shadow patterns to give character to the nighttime facade. Waterfalls, fountains, statues, and other non-plant elements in the landscape are beautifully illuminated using specialty feature lighting. Our designs are artistic, and often resemble theatrical lighting when we highlight a feature. Natural Concepts designs almost exclusively using LED lamps that can be easily changed out. These lamps carry a 3-5 year Manufacturers Warranty. We NEVER sell integrated LED lights, where you have to replace the entire fixture in the event of a burn out. Our lighting fixtures are the finest available in the industry and carry the longest warranties. Our custom made cast-brass (bronze finish) fixtures and low voltage stainless steel multi-tap transformers carry a Lifetime Manufacturers Warranty. We design our “Moonlighting” with fixtures that carry a 5 year Manufacturers Warranty. Natural Concepts is a licensed electrical contractor. We use our own uniformed employees, which keeps control of quality and costs. We NEVER use contract workers or subs. If you have an old system, it might be time to consider converting to LED. Older mercury vapor systems can be upgraded to LED, reducing energy costs by up to 85%! Our clients who have chosen this route have been very pleased with the look of the LED, and the cost savings. 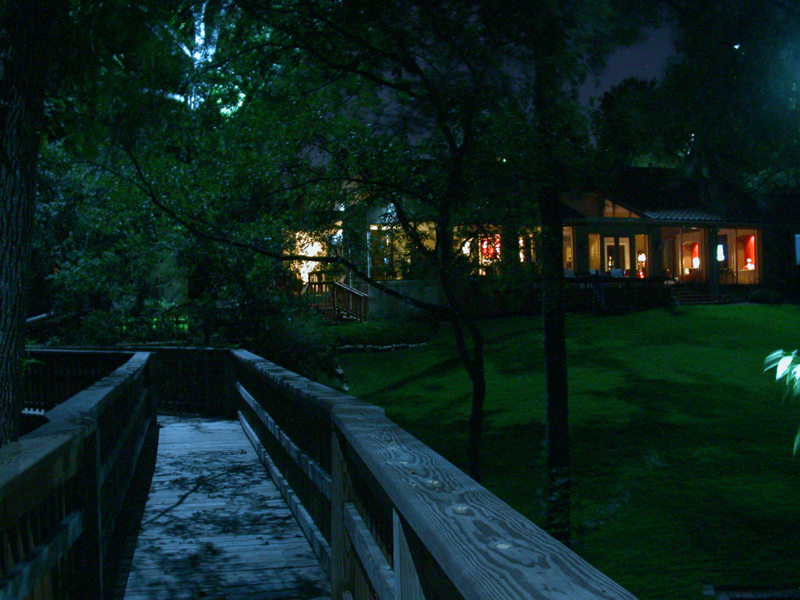 Natural Concepts services all types of Landscape Lighting, even if we didn’t install it. We can service the small jobs that need lamp replacement, up to the large system renovation. Whether you have a low voltage system, or an extensive 120 volt mercury vapor system, we can help.